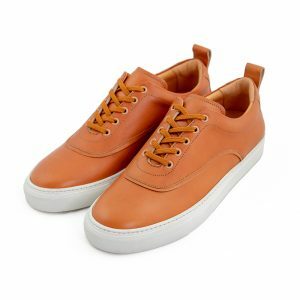 We welcome our latest addition to the Stig Percy collection; the sneaker model Stig 5. They come in Powder Pink and a caramel brown for Spring and is available in both men and women’s sizes. Stig 5 is a sleek and minimal sneaker that sits elegantly on the foot. Referencing vintage sneakers and details of classic leather shoes, the Stig 5 is a sophisticated sneaker with a simple aesthetic that means that they can be worn with everything from tailored trousers or a flimsy dress to a pair of sweatpants. 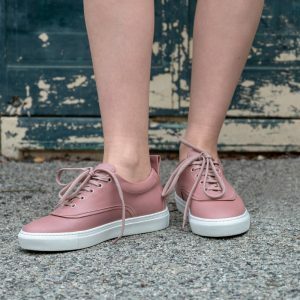 We care about what materials we use and just like our other shoes, our sneakers are made with environmentally friendly, vegetable tanned leather. 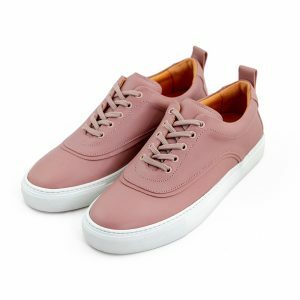 The sole is made with recycled rubber and they have an extra cushioned insole for comfort; these sneakers are made to last. We always urge you to take good care of your shoes, don’t forget to take care of your sneakers as well! If you’re uncertain, read our simple shoe care guide.